Four House Democrats have asked the Environmental Protection Agency Inspector General to investigate a glider truck study by a Tennessee Tech University researcher. The study already is the subject of a research misconduct investigation by the university. “Despite conclusions suggesting that glider vehicles emitted similar levels of pollution as conventional vehicles, it now seems clear that from an abundance of publicly available information that the TTU glider study, used by EPA to help justify its proposed glider repeal rule, cannot be trusted,” said a letter sent last month to the EPA Office of Inspector General. The letter was written by Eddie Bernice Johnson of Texas, Donald Beyer Jr. of Virginia, Suzanne Bonamici of Oregon and Jerry McNerney of California. Johnson (top left), Beyer (top right), Bonamici (bottom left) and McNerney (bottom right). The Inspector General already is in the process of conducting an audit of a separate EPA study that was requested by Republican members of Congress. The 2017 EPA study concluded glider trucks can emit 43 times more nitrogen oxides and 55 times more particulate matter than newer trucks in compliance with federal emissions standards. 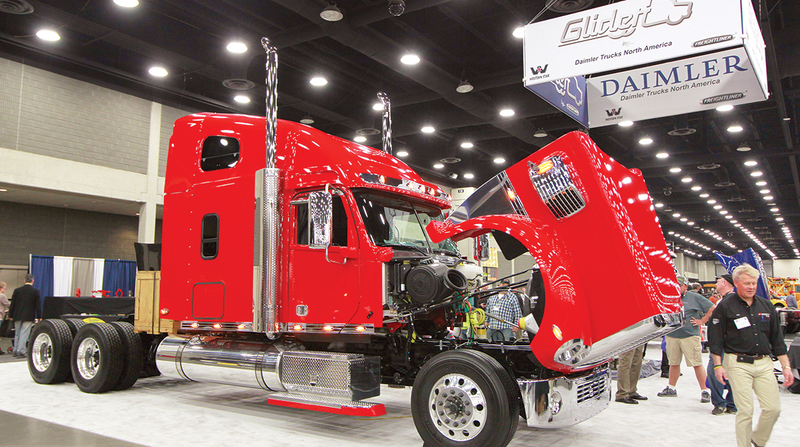 Glider trucks combine new truck bodies with older and oftentimes rebuilt engines. The EPA study audit by the IG is in response to questions raised in June by Rep. Greg Gianforte, chairman of the House Subcommittee on the Interior, Energy and Environment. He questioned the integrity of the EPA glider truck study since it was released after then EPA Administrator Scott Pruitt proposed repealing an Obama-era rule limiting production of the gliders. Three other Republicans, Reps. Bill Posey of Florida, Steve King of Iowa and Brian Babin of Texas, also requested the audit of the EPA study. Contacted about the status of the Democrats’ request, an IG spokeswoman said Oct. 10 that the office was still in the process of deciding whether to decline the request, or to proceed with either an audit or a more thorough investigation. A TTU spokesman did not return a message seeking comment on the status of the university research misconduct investigation. The TTU study was funded by Tennessee-based glider manufacturer Fitzgerald Glider Kits. EPA used this study, in part, to justify proposed repeal regulation. If the university investigation proves to document research misconduct, the school’s faculty senate has said it could have an adverse effect on university grants, incoming students and new faculty. In February, TTU President Phil Oldham said the school community “shares the desire to ensure the academic research integrity of the university along with our reputation as an honest broker of knowledge and research initiatives” but asked EPA to not use the study to buttress the agency’s decision to repeal the glider rule. The new Fitzgerald Technology Complex in White County will house the Tennessee Tech Center for Intelligent Mobility, located in Fitzgerald Industrial Park.